A variety of gavels (or hammers) and blocks can be supplied for the use of persons presiding at meetings. In addition to having their practical use, gavels and blocks can often be regarded as ceremonial objects and may be presented as gifts to existing or retiring presidents or chairmen of authorities, clubs or other organisations. Gavels and blocks can be produced in three wood types, examples of which are illustrated on this page. Silver inscription plates can be affixed to bases or the base itself can be engraved (at additional cost). Please note that our products are made from natural material, often by hand, and use only the natural colouration of the wood. There may therefore be slight variations from those items shown on this website. These variations should be regarded as characteristic of such unique items. Silver or brass inscription plates and engraving can be affixed to bases at additional cost. Please note that our products are made from natural material, often by hand, and use only the natural colouration of the wood. There may therefore be slight variations from those items shown above. These variations should be regarded as characteristic of such unique items. All orders of gavels and blocks are supplied in a presentation bag as standard. Upgrade options, including wooden presentation box with customised engraving, are available at additional cost. All prices plus VAT and delivery charge of £5.95 + VAT. Prices are subject to change and should be confirmed at the time of ordering. Please contact us on 01322 621109 to discuss your requirements. 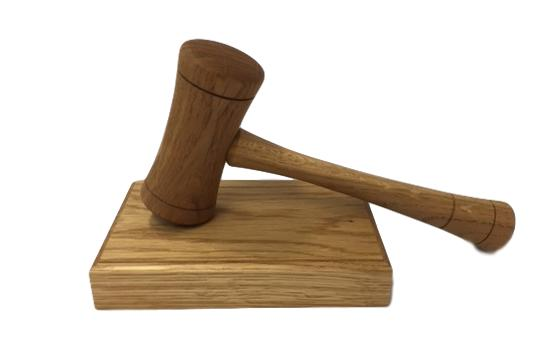 This attractive maple wood gavel with matching sounding block is of medium density and is suitable for engraving. This medium density gavel with matching sounding block is made from a light coloured oak. The block can be engraved with a silver or brass plaque making it a perfect gift. 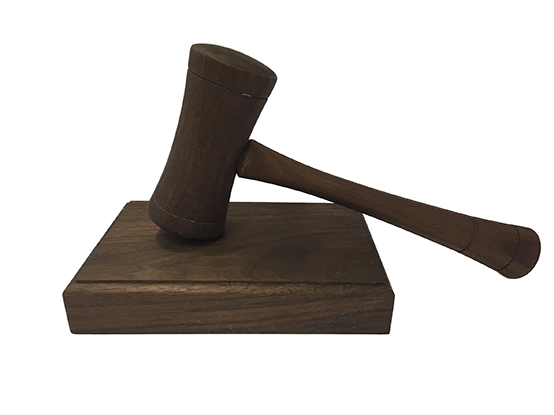 This dark coloured, medium density walnut gavel has a delicate and sleek design. 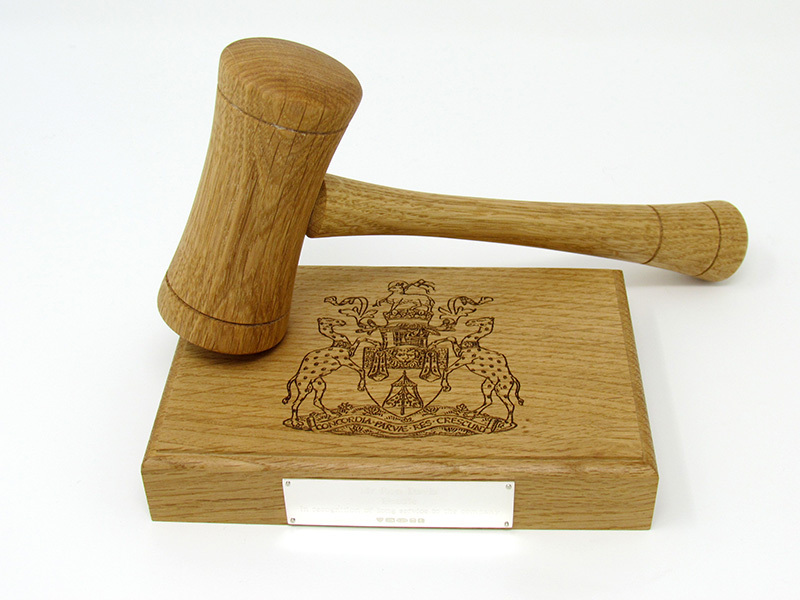 This gavel comes with a matching sounding block which is suitable for engraving.